Veteran Director Bob Kelly pulls together a panoply of old and new theatrical faces for a heartstrings tugging ode to the most wonderful time of the year in "Christmas by Candlelight".running through December 23. 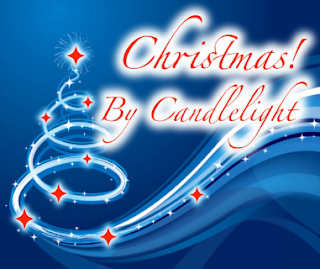 No real plot, simply a very diverse musical array of what Christmas means to family and loved ones; a sumptuous banquet of sentimental, humorous and joyous musings. Renown composers by the score were listed, many from Broadway. Jerry Herman's “We Need A Little Christmas” opened the show, perhaps a metaphor for the global conflicts abroad and the divisiveness nationally. Jule Styne and Sammy Cahn, partners in numerous Brdway shows also wrote “Let It Snow” and “Christmas Waltz”. My favorite '50's cowboy, Gene Autry composed “Here Comes Santa Claus”. Frank Loesser, of the immortal “Guys & Dolls” wrote “Baby It's Cold Outside”, finessed charmingly by Colleen McGinness and Rick Fountas. Meredith Willson of “Music Man' fame composed “It's Beginning To Look A Lot Like Christmas”. The chestnut, “Christmas Song” by Mel Torme, channeled by Timothy Lamont Cannon provoked some dewy eyes by those at our table. This is a show of firsts: the first time ice skating was danced on NCT stage. Ice dancing choreographer Peter Bricotto gingerly navigated the tiny stage and exhibited fluid moves. One of my favorite and certainly one of the most supremely talented choreographers in the region signed on for the show, Jen Quinn. Hopefully she will become a staple at this venerable venue. There were multitudinous tempo changes in the multitude of numbers and Jen's charges did not miss a step. 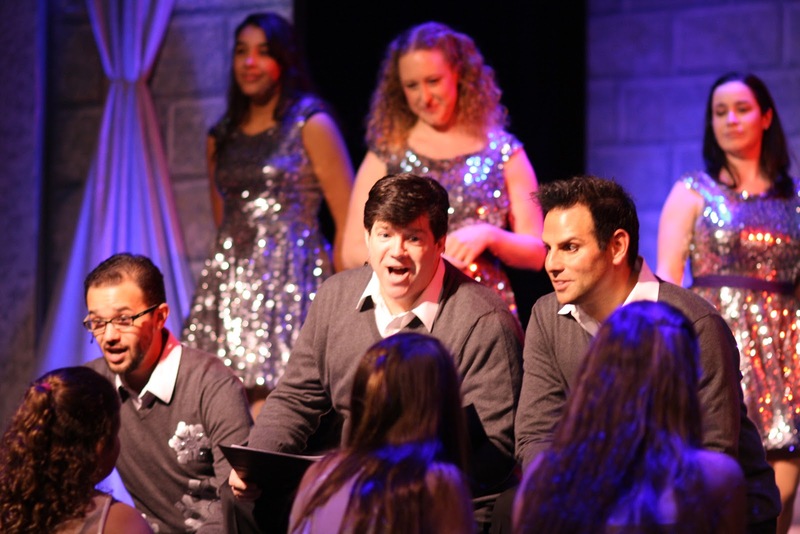 The vocal stars of the show – as they have in past productions – are David Snyder and Erica Scanlon Harr. Erica serves as emcee, segueing from one theme to another. Her monologue is perhaps a bit schmaltzy and at points, slows the energy created by the talented ensemble. However, the duos clarion voices excel in “Have Yourself A Merry Merry Christmas” and “Silver Bells”. Music Director David Wills did a wonderful job in ensemble harmonizing of the joyous and jubilant religious oeuvres such as “Little Drummer Boy”, “O Holy Night” and “Do You Hear What I Hear”, featuring the beauteous Lindsay Mauck. Mr. Cannon doubles down as Costume Designer. I am well aware his budget is slim. Yet, the outfits on the women sparkle like the top of the tree. A tender and warm hearted show for the entire family. A great gift and a great way for your kids to be inspired by seeing other kids perform.